The UK’s most powerful attack submarine, HMS Astute, has been welcomed into the Royal Navy today. 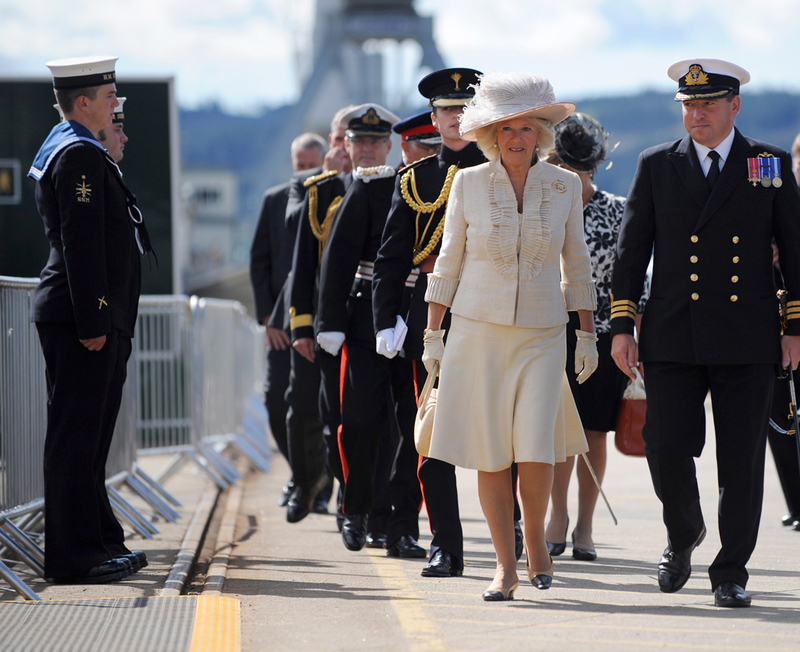 In a Commissioning ceremony overseen by the boat's patron, the Duchess of Cornwall, Astute officially became 'Her Majesty's Ship'. HMS Astute is quieter than any of her predecessors, meaning she has the ability to operate covertly and remain undetected in almost all circumstances despite being fifty per cent bigger than any attack submarine in the Royal Navy’s current fleet. The latest nuclear powered technology means she will never need to be refuelled and can circumnavigate the world submerged, creating the crew's oxygen from seawater as she sails. The submarine has the capacity to carry a mix of up to 38 Spearfish heavyweight torpedoes and Tomahawk Land Attack Cruise missiles – and can target enemy submarines, surface ships and land targets with pinpoint accuracy, while her world-beating sonar system has a range of 3,000 nautical miles. “The Astute Class is truly next generation –- a highly versatile platform, she is capable of contributing across a broad spectrum of maritime operations around the globe, and will play an important role in delivering the fighting power of the Royal Navy for decades to come. A highly complex feat of naval engineering, she is at the very cutting edge of technology, with a suite of sensors and weapons required to pack a powerful punch. HMS Astute has today also reached an important milestone on the road to operational handover. Following the successful completion of the first rigorous set of sea trials, which began at the end of 2009, she has achieved her In Service Date, signalling that she has proven her ability to dive, surface and operate across the full range of depth and speed independently of other assets, thereby providing an initial level of capability. “To my mind Astute is a 7,000 tonne Swiss watch. There is an extraordinary amount of expertise that goes into putting one of these submarines together. There are stages when it’s like blacksmithing and there are stages when it’s like brain surgery. Following the Commissioning, HMS Astute will return to sea for further trials of the submarine and her crew before she is declared as operational. As the base port of all the Navy's submarines from 2016, Faslane will be home to the whole Astute class, which includes Ambush, Artful and Audacious which are already under construction in Barrow-in-Furness by BAE Systems. Astute was built by BAE in Barrow-in-Furness with hundreds of suppliers around the country contributing component parts, including: Rolls Royce, Derby (Nuclear plant); Thales UK, Bristol (Visual system and Sonar 2076); Babcock, Strachan & Henshaw, Bristol (Weapon handling and discharge system). Astute is affiliated to the Wirral in the North West. She is the first Royal Navy submarine not to have a traditional periscope, instead using electro-optics to capture a 360 image of the surface for subsequent analysis by the Commanding Officer. Astute is the first submarine to have an individual bunk for each crew member. She manufactures her own oxygen from sea water as well as drinking water. She could theoretically remain submerged for her 25 year life if it weren’t for the need to restock the crew’s food supplies. She is faster under the water than she is on the surface – capable of speeds in excess of 20 knots although her top speed is classified. Astute’s crew of 98 are fed by five chefs who, on an average patrol, will serve up 18,000 sausages and 4,200 Weetabix for breakfast.